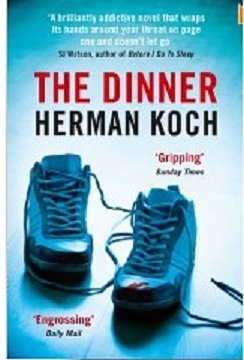 The words that come to my mind when I think about Herman Koch’s writing are despicable characters, sardonic humour and very, very dark. Dear Mr. M without a doubt, lived up to this assessment, easily matching these ingredients first met in The Dinner and Summer House with Swimming Pool. In this book we have a neighbour obsessed with a writer, aging M who lives in the same block of apartments as he does in Amsterdam. I’d like to start by telling you that I’m doing better now. I do so because you probably have no idea that I was ever doing worse. Much worse, in fact, but I’ll get to that later on…. Right from the off, even if you have picked this book up blind, there is a real sense of creepiness, and this persists right through the novel. Our narrator, the neighbour gives us a full picture of just the kind of man is; a writer who had one hit book, Payback, a writer who although he has written other books now has his greatest hit quite far in the past. He is pompous and scathing of everyone he knows and seemingly incapable without his young wife to tend to him. We don’t however have a name for the narrator, or what he does, but we do know he stalks the author in the most insidious manner, and we have a feeling that there is a purpose, just what, is the mystery. The subject matter for Mr. M’s best-seller was based on the mysterious disappearance forty years before of a trendy school-teacher. The last known sighting of the teacher, Mr Landzaat, was at the holiday home of his pupil Laura who was staying for the Christmas holiday with her classmate Herman. Laura had been the teacher’s lover, but by the time he disappeared their liaison was over and Mr Landzaat was on his way to Paris to welcome in the New Year with friends, but he disappeared one snowy day never to be seen again. This book is, as might be expected, full of contradictions and spikiness. We attend literary events courtesy of our famous author and see his take on the behind the scenes one-upmanship which it’s only too easy to believe might just exist between literary authors. We also have a sense that his younger wife has been chosen just to get up the nose of those authors who are somewhat higher up the bestseller list than our subject, who churns out war stories, Payback being a one-off foray into a different kind of writing. The signings and the publisher events are marred not just by the lack of his current success but the belt-tightening of the industry with lavish dinners of the past giving way to buffets in the present day. 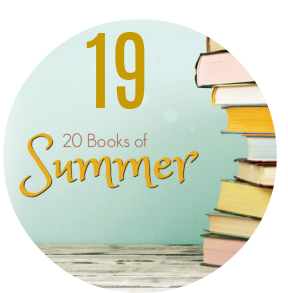 The seemingly unrelated storylines that make up this book are cleverly combined as the book progresses but even when I was unsure quite how this was going to work, each individual strand is a delight in itself, an insight into the most unattractive people you would probably wish to spend time with. Please don’t read this book if you need to like at least one of the characters, I can guarantee you won’t enjoy this bunch at all! But if like me, you enjoy a clever book, one that is quite unlike anything else you are likely to read, Dear Mr. M will both delight and horrify you in equal measure. 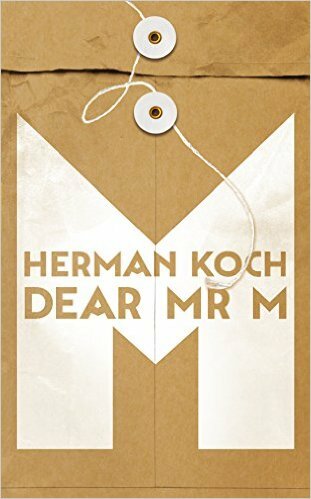 Dear Mr. M was my nineteenth read in my 20 Books of Summer Challenge. The Girl Who Wouldn’t Die is a fast-moving thriller and grittier than my usual choice of read but if you want excitement by the bucketful this is a book to consider, especially as it is currently available for the kindle at the absolute bargain price of just 99p! Georgina McKenzie, is an Erasmus student at the University of Amsterdam when a human bomb blows up the library, it has all the hallmarks of a terrorist plot and when George and her friend Ad stumble on the scene she is asked to help the policeman draw the person responsible out by writing a blog post for the student magazine. Detective van den Bergen got more than he bargained for when he asked the student criminologist for help because George wasn’t about to leave it at one post, especially when her fellow students start dying at a rate of knots. No George gets stuck into investigating the crime, working from her already well-honed reading of people she feels she is well-placed to find the person or people responsible. She is also slightly worried that she is being watched, but by whom and why she doesn’t know but she’s determined to find out. To do so she takes part, and encourages Ad in turn to do the same, in some breathtakingly risky escapades to root out the killer. As well as being quite gruesome in places, there are a lot of characters to keep track of as well as a number of different themes and places; The Girl Who Wouldn’t Die takes in Amsterdam, England and Germany as it hurtles from one scary event to the next. At first I was confused about the part of the story set in London which full of drugs and gangs but I really liked the atmosphere created by the author with young Ella terrified of the local boys Danny and Jez who terrorised her and her mother on a nightly basis while all Ella wanted was a quiet life and to escape. There are some well-drawn characters to back up a plot that does need the reader to be in the moment and not to ask too many awkward questions about protocol etc. Inspector van den Bergen being one of my favourites. George was a little to full-on at the start but as I got to understand more about her my feelings towards her softened. I liked the interplay between her and her friend Ad and her friendship with her prostitute neighbour and the local coffee-shop owner and landlord. If this book wasn’t so full of action I fear I would have lost track of the numerous characters who populate this novel although the author has done well in giving the majority of them interesting traits so they are easily distinguishable. I recommend this book to those who enjoy Scandi-crime fiction, and yes I know my geography is poor but I am aware that neither Amsterdam or London are in Scandinavia, but this book has the same feel to it with the big plots, the gruesome retaliations and the complex individuals. I’d like to thank the author Marnie Riches and the publisher Harper Collins Maze for giving me a copy of this book for review purposes. 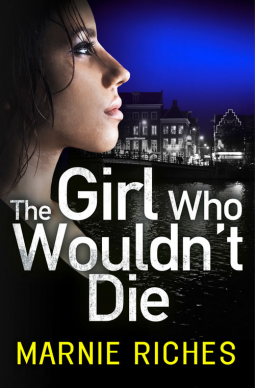 The Girl Who Wouldn’t Die was published on 23 April 2015. When I have mentioned that I was going to read this book I received a number of comments that made me think I wasn’t going to like it – that wasn’t strictly true, it was a good read but not enjoyable due to the horrific actions recounted. Set across the course of a dinner in a Dutch restaurant two men sit down to discuss their sons. Paul and Serge, and their wives, Claire and Babette, meet for dinner in a swanky restaurant in Amsterdam. Each of the couples has a 15-year-old son and, we discover, the dinner has been arranged to discuss a horrifying act perpetrated by the two boys. What follows is a shocking tale, and I don’t use that phrase lightly. This is not a simple tale of the boy’s transgressions but a journey back through time showing how earlier actions led to the need to have the dinner. I found this book thought-provoking although it wasn’t what you could call an entirely enjoyable read. In short there were moments when I was genuinely shocked at the revelations on the page in front of me. I found it disturbing how my sympathy for the various characters changed totally with each piece of information casually revealed. The root of this tale of how far should a parent go to protect their child? A ‘What would you do?’ sort of story. A look at what happens when certainties of middle-class are shattered. Don’t be deceived though, it is also more than that, an example of how the surface of a family can hide much darker undertones. I found the way that the truth of what has happened and why coming out over the course of a dinner a great setting. To then realise that I felt totally differently about the four diners at the end than I had at the beginning the mark of a clever author it’s just a shame that his characters were morally deficient.